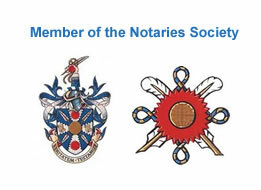 We are pleased to offer a full range of notary public services to the highest standard. We use all of the latest and new technologies and innovations, to help and support our clients, who require the services of a notary public. We are experienced and knowledgeable in all aspects of notary public work and we are a modern and dynamic firm, offering a quick and efficient notary service. We understand that time is precious and matters to you and the importance of us being immediately available to you at short request, for urgent notarial matters, can be essential to you. We provide a bespoke notary public service, tailored according to all of your specific notary public needs and requirements. Examples of the notary public work types we can undertake for you, where we have years of experience, include but is not limited to, the following areas. Legal documents, to be signed or created in the UK but which are then subsequently required to be submitted overseas outside of the UK, commonly require certification by an English Notary Public. We will take all reasonable steps, to notarise your document in a manner and form that can reasonably be expected, to be acceptable to the overseas country, where you will ultimately submit your document. Additionally we will also advise you, if Foreign Office legalisation and/or consular legalisation are required by the overseas country, where you are planning to submit your document. The fundamental purpose of a document certified by a notary public is to provide legal evidence and communicate and preserve information and authority. 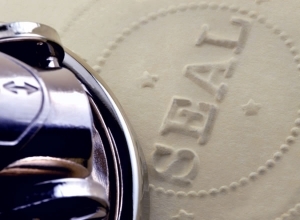 The certification of the notary public, as an official legal document, that can later be relied upon and recognised at law internationally, can often therefore become of significant importance. A fundamental request made of a notary public, is often to witness the signatures of parties to legal documents, all having previously been duly identified to the notary, by way of producing their passports and/or other proof of identification documents. The place where the document was signed. Certain documents may require the notary to write on the document itself, the form of identification he took from each signing parties, including passport or drivers license numbers. By authenticating a document in this way, an important and primary part of the notary public’s role and service to their client is completed, in that legal verification has been given to the document, which the client will now be able to safely submit and use abroad. Please note as a standard part of our service to you we are able to supply you, as our client, with a full notarial certificate, confirming the witnessing and execution of the document and the verification of proof of identity documentation of the individual parties signing. Any notary public is fully recognised at law as being duly authorised to administer Oaths and Affidavits and take Statutory Declarations, such authority being granted by the Statutory Declarations Act 1835. 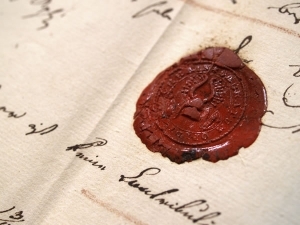 The Court and Legal Services Act 1990 gives general notaries all of the legal powers of Commissioners for Oaths, as conferred by the Commissioner for Oaths Acts 1889 and 1891. 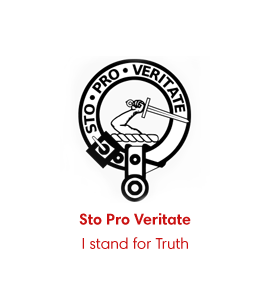 We are expert and experienced, in preparing Oaths and Affidavits and Statutory Declarations. Our clients are able to swear or declare their Oath or Affidavit with us and obtain notarisation of the same. Please feel welcome to contact us to discuss you requirements and we are pleased to prepare and tailor a bespoke document according to your requirements. We are pleased to make and certify copies of many types of original documents and confirm the genuine and authentic nature of the documents, after completing any necessary verification checks. Certain jurisdictions and certain bodies may have a very specific form of wording required for the certification made by the notary e.g. Australian Medical Council requirements. It is important to ensure the wording used in the certification specifically follows and accords with exactly what is required by the overseas body or person to whom the document will be ultimately be sent. Please be aware that we cannot certify copies of UK documents protected by Crown Copyright laws. For example if a British Birth Certificate or Marriage Certificate requires notarisation, then it is an original certificate supplied by the General Registry Office (GRO) that can be notarised. Please note that the Legalisation department of the Foreign Office will only legalise the original of any document protected by Crown Copyright (e.g. a British Birth Certificate or Marriage Certificate). The Foreign Office will refuse to legalise a photo-copy of any document protected by Crown Copyright. We are set up to provide E-Notarisation to our clients. Thanks to new and modern technologies, it possible for the notary public to offer the following client service known as “E-Notarisation”. E-Notarisation works by the notary public creating an electronic digitally encrypted version, of the paper copy of the notary document, originally executed by the notary client. The electronic digitally encrypted notarial document, will carry a unique electronic digital signature, unique to the individual notary. The electronic E-Notarised document can be created, at the same meeting where the client executes the paper copy of the notarised document and can be emailed any where in the world at the same meeting. The advantages of E=Notarisation are speed and efficiency, as the overseas based party to whom the notarised document is ultimately submitted to, can be supplied with the E-Notarised document almost instantly, without having to wait for courier or postage times associated with the delivery of paper documents. E-Notarisation still requires the client to appear in person before the notary and the client is still required to produce proof of identity papers in the same manner as paper documents. However it is the almost instantaneous time scale associated with delivery of the document where the advantages of E-Notarisation lie. Additionally E-Notarisation is considered a more environmentally friendly manner of conducting a notarial transaction. The USA and NewZealand are examples of countries that have to a limited extent already adopted their own E-Notarisation systems. The Hague Convention countries have also followed suit although only a very small proportion of documents are currently created through an E-Notarisation system. The Legalisation Office of the British Foreign Office are currently consulting with the Notary Society to explore the possibility of setting up a system of E-Notarisation. At the current time, only a small minority of foreign authorities or bodies will currently accept an E-Notarised document and in the majority of cases it is still a paper document which must be submitted and sent by courier overseas. However this situation is likely to change over time and E-Notarisation is considered likely to grow in frequency of use and acceptability as time passes. Whilst old traditions and value are hard to break, as the world moves towards E-Commerce, this is an inevitability that E-Notarisation will ultimately catch on and grow in popularity internationally. If you are thinking of having your documentation created through E-Notarisation process, then you will need to check with the overseas party to whom the document will ultimately be submittted, that this is acceptable form to adopt. As is the case with all notarial documents, the document must be created in a form agreeable to and acceptable to the recipient based abroad. 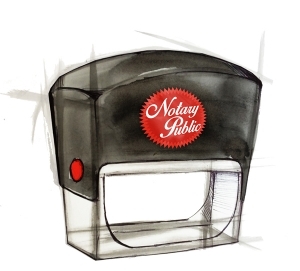 We are fully equipped to provide E-Notary services to our clients and are happy to answer any questions you may have. 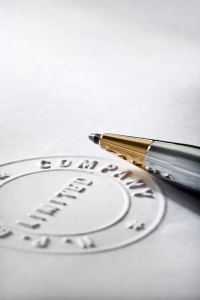 We issue notary public certificates in relation to all documents held at the Companies House Registry of England and Wales (and also the Companies House registries of Scotland and also Northern Ireland). This service may be required for example where a limited company is involved in a business matter overseas. The authenticity of the good standing of the company, by a notary public,is required by an overseas body, before the company may conduct itself overseas. Additionally the authority and standing of a Director of the Company, or an authorised signatory of the company, may require verification by a notary public. The notary may also supply and notarise a Certificate of Good Standing of the Company where this can be obtained from Companies House. 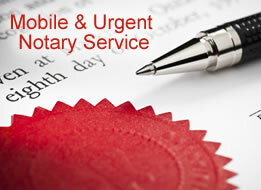 Please contact us if you are a limited company requiring the services of a notary public. Limited companies often to appoint an attorney overseas to represent the company in the overseas jurisdiction as well as sign legal documentation on behalf of the limited company. Where this situation arises the company may decide to appoint an overseas lawyer or representative to execute documentation on behalf of the company. Where this situation arises the company may need to execute a corporate Power of Attorney before a notary public. Generally the notary will need to make a full search at Companies House of the Company and obtain evidence that the director is genuinely recorded at Companies House as a Director of the company. The notary will also obtain identification documents from the director or directors signing on behalf of the company. Additionally the notary will obtain evidence that the director is duly authorised by the company to execute the documentation. We commonly see doctors and nurses and other medical professionals who are transferring their employment from the UK to Australia. We are familiar with all of the notarial public requirements of the Australian Medical Council (AMC) and are able to provide a fast and efficient service for bulk document notarisations. An ‘OCI Card’ (Overseas Citizen of India Card) is a special life-long multiple-entry visa visa which enables the holder to have unlimited travel and stay in India. A ‘PIO Card’ (Person Indian Origin Card) is a similar but different form of application to OCI with a different eligibility requirement. We can also assist you with the Notary Public requirements for PIO application and hold the correct forms of legal precedent Affidavits to be used in your application. Notaries provide this service to pensioners whose overseas private pension provider has asked them to supply a Certificate of life or Declaration of Existence. The purpose of the certificate given by the notary is to enable the pension holder to claim his pension by supplying evidence of the existence of the pension holder to the pension company. Many pension companies provide their own standard form, although we are able to create and notarise a bespoke Life Certificate for you, in accordance with your specific requirements. Please feel free to contact us if you require a Life Certificate. If you are getting married overseas then congratulations on your engagement and we are pleased to see you and supply any notary public documentation you require. Examples of the type of paperwork you may require may require between different counties but are likely to involve evidencing that you are lawfully free to marry. For example some countries may require a notarised and legalised Certificate of Non-impediment issued by the General Registry Office (GRO). Alternatively a different country may require you to male an Affidavit confirming your freedom to marry and confirming that you have never been previously married, or if that is not applicable, the details of your previous marriage and evidence of divorce from a previous marriage. Obtaining the correct notarised documentation in good time for a forthcoming marriage, can be of vital importance, in the context that any failure to do so, can ultimately result in a planned marriage not being allowed to proceed. Many countries will require legalisation by the Foreign Office and/or a Consulate of your paperwork and please contact us to discuss your requirements. Notaries are able to prepare and complete Change of Name deeds for any person wishing to change their name. Any person in the UK may is legally entitled to change their name whenever they wish (unless it is for fraudulent or illegal purposes). Common reasons for change of name include after a Divorce where a wife wishes to revert to her maiden name, a dislike of a current name, a desire for a less or more ethnic name. Please note if a child’s name is to be changed, the change of name deed would normally be required to be signed by all parties holding Parental Responsibility for the child. Alterntively evidence of consent of all parties holding Parental Responsibility for the child should be produced. We are pleased to see you to complete a Change of Name deed and please call us to discuss your requirements. Parental Consent authority forms are required by certain countries for example the USA, in a situation where a minor child, is traveling with, either just one of his parents or, alternatively with an adult who is not a parent of the minor..
We are pleased to draft the Parental Consent Form for you to sign and notarise the same for you. If the required form of the Parental Consent Form is an Affidavit then we will administer and notarise the Oath for you. 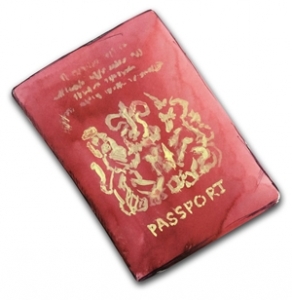 We provide a full passport certification service and after making any verification checks are able to supply the proper form of certification required by banks, accountancy firms and law firms according to the Money Laundering Regulations. The notary public has seen the original passport from which the notary has made the notarised copy passport personal details page, duly certified to be a true copy of the original. Additionally if applicable, the notary public will certify that he or she has met in person with the passport holder and that the photo-graph shown in the passport particulars page bears a true and accurate likeness to the passport holder. 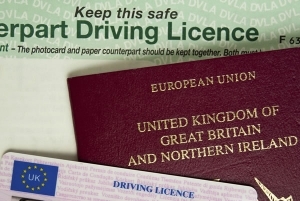 We also certify other proof of identity documents in a similar form, including photo-driver’s licenses and proof of address documents such as bank statements and utility bills. 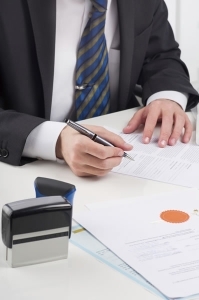 Full notary public certificates may be attached to the proof of identity documents in accordance with our client’s particular requirements and needs. Passport applications made for and on behalf of minors, require in certain countries such as the USA, the application to be submitted by both parents. However if both parents cannot be present to make the Passport application for their minor child, then a Consent Form may be required from the non-appearing parent, authorising the other parent, to apply for and obtain the Passport for the minor child. Typically the Parental Consent form must be signed before a Notary Public, who is required to witness and notarise the same by attaching his seal and stamp of office. We are pleased to assist parents requiring a notary public for this service and are able to respond to urgent requests at short notice. We offer a specialist lawyer polish service to any client requiring legal documents notarised for submission in Poland. We have a close association with qualified Polish lawyer and Polish national Tomasz Matheisel – 0048 515 970 225 (incl.What’s App) and [email protected] – who is expert in areas of Polish law. Tomasz altenates his time between London and Poland and can be easily contacted through What’s App. Tomasz has regular contact with a large number of Poland based notaries and lawyers, who he is able to work in conjunction with, and therefore be able to assist you from London in the preparation of legal documents requiring notarisation, that will require submission in Poland. Tomasz can assist in the preparation of Polish legal documents prepared in the Polish language and that will be legally valid under Polish law and recognised in Poland. Tomasz graduated in 2008 with a masters in Polish law at University of Gdansk and also for the period 2008-2011 studied English law in London at both Middlesex University and City University. Tomasz is able to assist you in obtaining Polish legal advice on all aspects of the Polish law, through his extensive connections with numerous lawyers based in Poland. Notaries are often involved in authenticating powers of attorney for use in foreign jurisdictions. 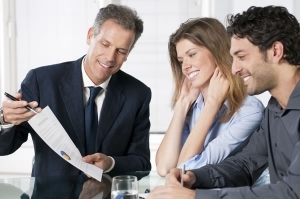 Commonly the power of attorney will be prepared by overseas lawyers and in appropriate cases, by the client. The power of attorney will be prepared either in a foreign language or in a bilingual form, e.g. in English on one side of a page and the foreign language on the other side of the page. The formal requirements for the execution of a power of attorney will vary between different countries, although part of the notary’s role will be to ensure that the power of attorney is executed in a manner which is acceptable to the jurisdiction, where it i ultimately going to be sent. We recommend that powers of attorney are executed in duplicate, so that our client may retain an original copy for future reference. We recommend this as a safeguard should the copy held by your attorney ever be lost or altered. Additionally if the client ever needed to revoke the power of attorney at a future time, by retaining an additional copy the revocation process is in practice considerably easier. Please also feel welcome to contact us if you wish for us to prepare your power of attorney or obtain a translation. We regularly act for private individuals and companies involved in buying and selling houses and real estate overseas. A notary is required where the person or company buying or selling the property overseas, is based in the UK and it is unrealistic for the client to travel overseas to his foreign conveyancing lawyer to sign paperwork. Please contact us if you are involved in buying or selling property in a foreign country and need to see a notary public. Declarations of Sponsorship are often required where a client wishes to sponsor a visa application of a family member, blood relative or spouse, who is an overseas national resident abroad and who wishes to visit the sponsor in the UK. An example of a client wishing to make a Sponsorship Declaration might be a current British national and resident, who previously held Indian or Pakistan citizenship and who wishes for his parents to visit him for a short period in the UK. Typically the sponsor will confirm his UK income and assets in the declaration and confirm and undertake that he will give full financial support to the individual he is sponsoring, throughout their stay in the UK. By making the Sponsorship Declaration, the sponsor is intending to increase the prospects of the party he is sponsoring, to obtain a visa to visit the United Kingdom. We have a full range of precedent Sponsor Declarations which can be tailored according to your requirements. We are pleased to see you to discuss your requirements and needs. Any document required to be submitted in any Emirate of the U.A.E. (Abu Dhabi, Ajman, Dubai,Fujairah, Ras al-Khaimah, Sharjah, and Umm al-Quwain) may have special requirements and please contact us to discuss these. Generally legalisation by the Foreign Office in addition to legalisation by the UAE Consulate in London may be required. The legalisation fee charged by the UAE Consulate in London is £30 per document for a document relating to a private individual and £410 per document for a document relating to a limited company or which has a corporate element. The UAE Consulate in London will not legalise notarised copies of education certificates that have been obtained outside of the UK. Overseas Wills relating to overseas assets that are to be signed and executed in the United Kingdom are often required to be signed before a notary public. The testamentary requirements and rules of different countries will vary, according to what form of execution will ensure that the Will is validly executed. In some cases the notary is required to notarise the Will in addition to two witnesses, the testator and the witnesses having been identified to the notary. In other cases the notary may be permitted to act as one of the two witnesses.